Made from strong, galvanized steel which ensures that this mailbox will last for many years. The standard Allux 3000 model comes with a heavy duty cam lock. 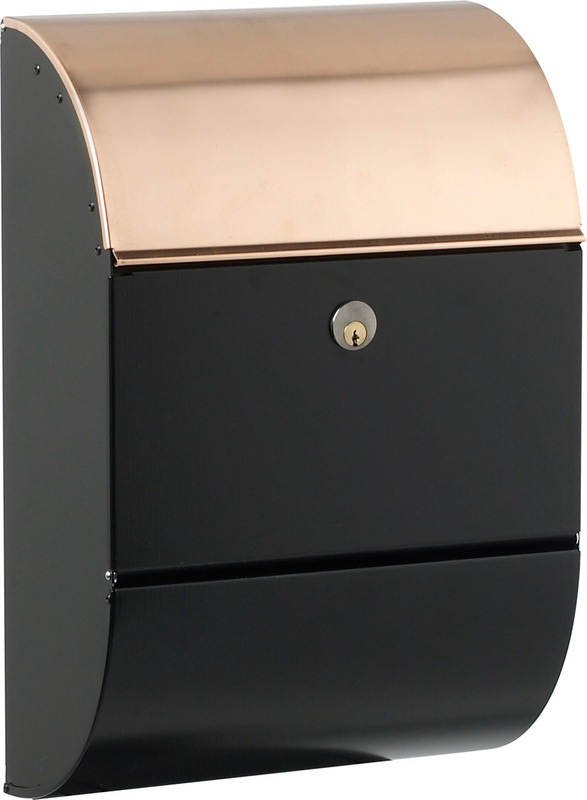 Black powder coated steel body available with copper or stainless steel accent door. Slot Size: 12" x 1-3/8"
Mailbox Size: 12-1/4" x 18-1/2" x 6-1/4".